Continuing the release of his 28-piece Astroworld merch collection, Travis Scott recently delivered Drop 7 of the planned nine drop range. Once again only available for 24 hours, this time around the latest release focuses in on the colorful amusement park logo that has surrounded La Flame’s third studio album. 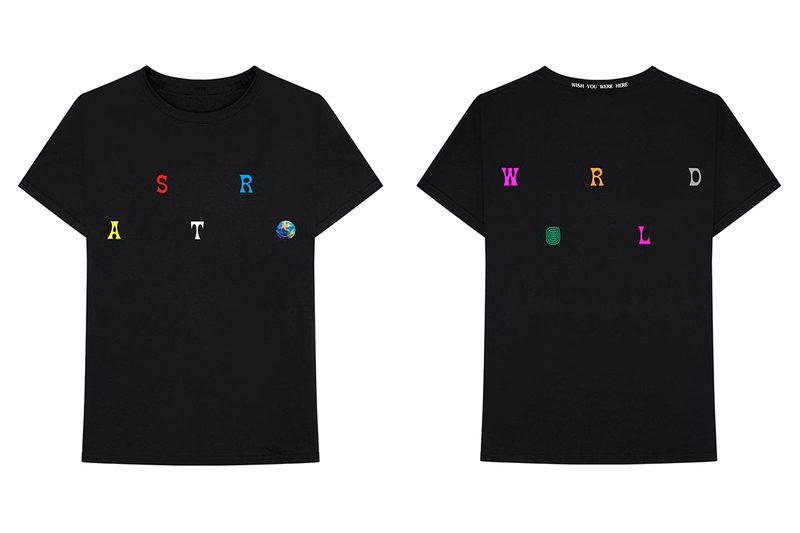 Straying away from the lifestyle items we saw in Drop 6, Drop 7 is comprised of the Astroworld Scattered T-shirt, and a pair of Logo Slides — one in a multicolored version and another in black/white. Additionally, each item is then accompanied by a digital version of the album and pre-sale ticket access to Travis’ upcoming tour. Check out the Astroworld Merch Collection Drop 7 above and head over to Travis Scott’s web shop to purchase the limited-edition range for 24 hours only. In case you missed it, watch Travis Scott’s entire HARD Summer headline performance. Alongside S.H.I.E.L.D. agent Maria Hill. The popular style receives another colorway. Nike Dips Its Air Max Axis in "Green Camo"
The premium iteration receives the camo treatement. Inspired by an imaginary sports team. FKi 1st, 2 Chainz & A$AP Ferg Share Racing-Themed Video for "How I Feel"
Off the first ‘Good Gas’ project. Fresh takes on the Old Skool, Slip-On and more.